"Looking at the numbers can be dangerous." 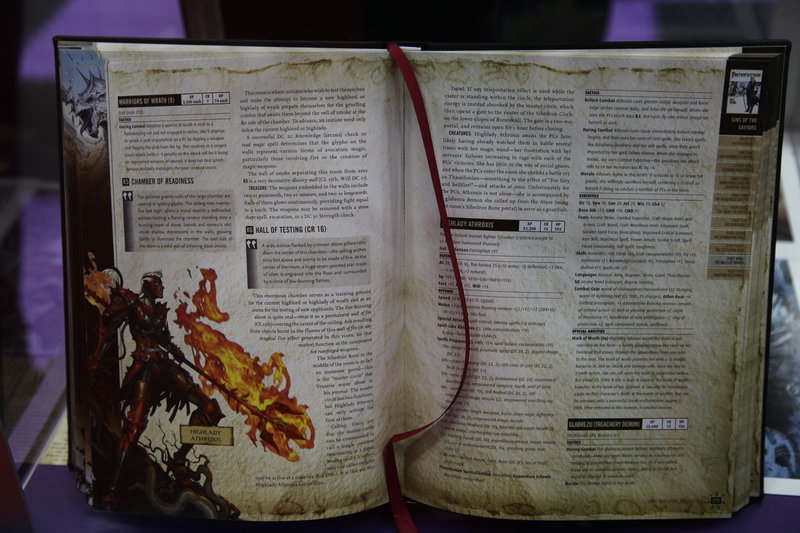 One of the most striking things to see at Gen Con is certainly Paizo's Pathfinder special. 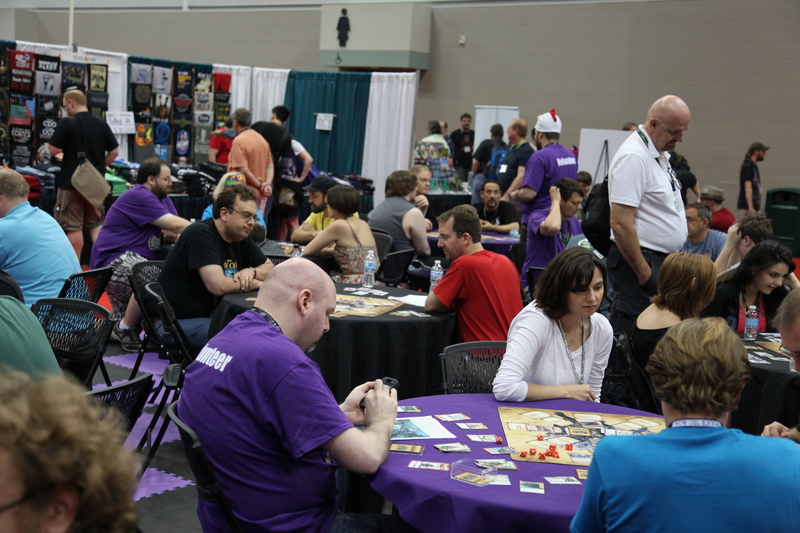 160 tables, each seated with five to seven players, all playing in the same world at the same time. 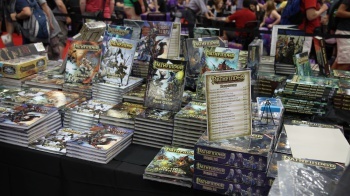 Paizo widely touts that they only make the game products they want to see, from their Pathfinder Roleplaying Game to their wildly successful Pathfinder Adventure Card Game. 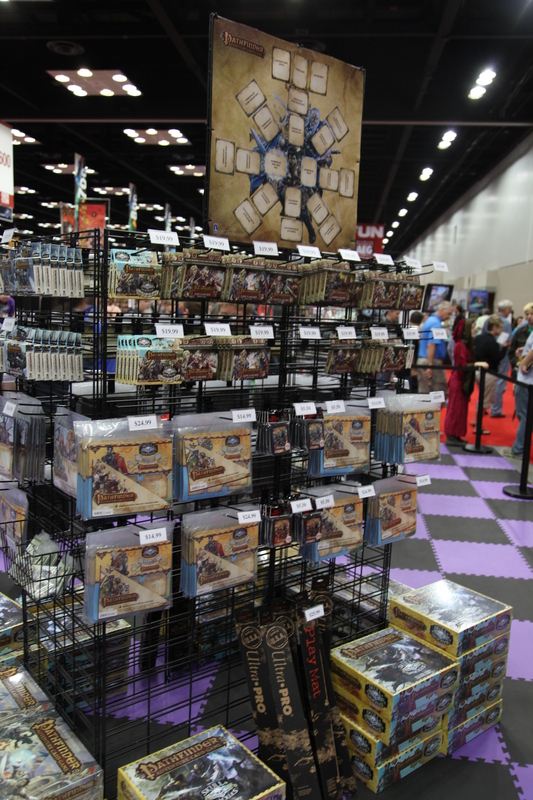 It's clear that Paizo is at Gen Con because their fans are - because their players are. It's a philosophy that has always guided the company, according to Publisher Erik Mona, because the entire company are gamers "from the CEO to the interns." 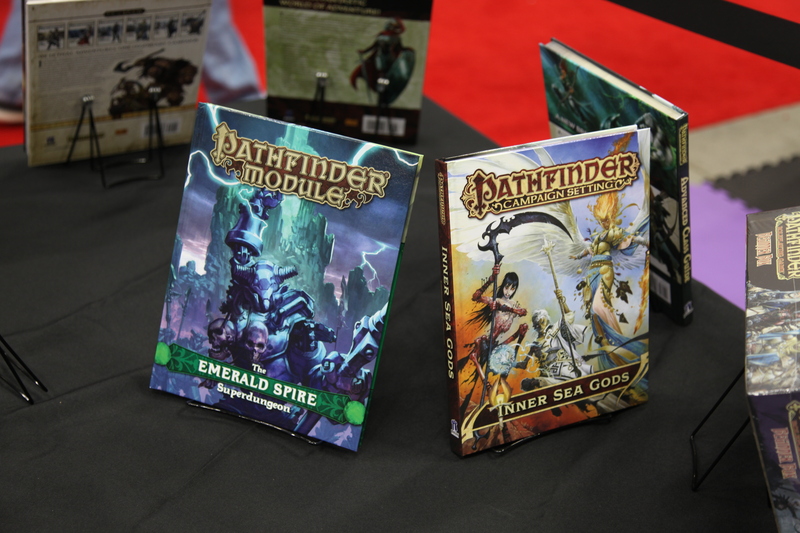 I spoke with Erik Mona at Gen Con about the philosphy that has allowed Pathfinder to grow into a brand capable of taking on those towering above it. "Sometimes there is a difference between what's good for the business and what's good for the game," said Mona. 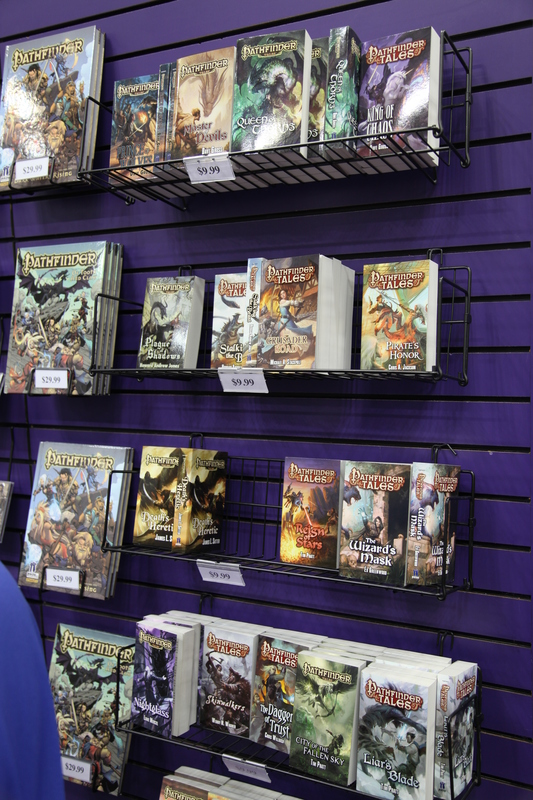 "We don't want to mess up our own campaigns by releasing books just to sell them. And the players have reacted really well to that." Its paid off. 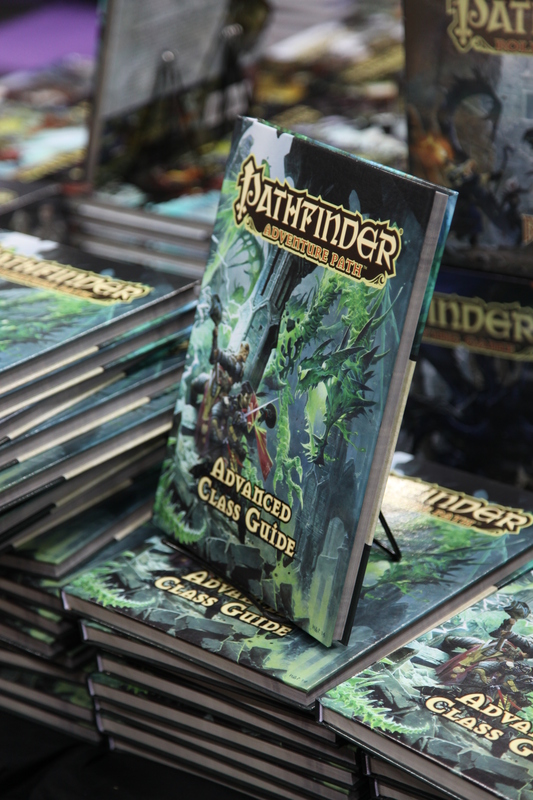 Mona said that Pathfinder has sold more core game books each year since they released, which Mona says isn't supposed to happen in roleplaying games. 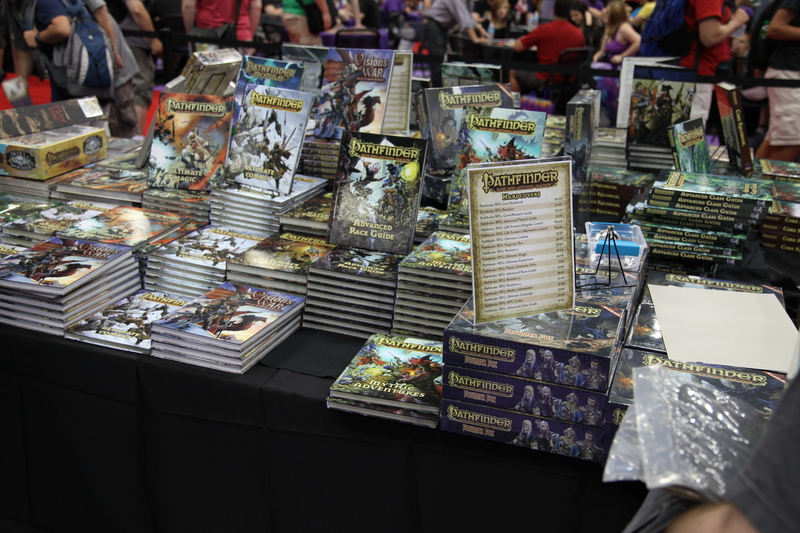 "When we started making Pathfinder the style to support a d20 Tabletop roleplaying game was to release loads of splatbooks. 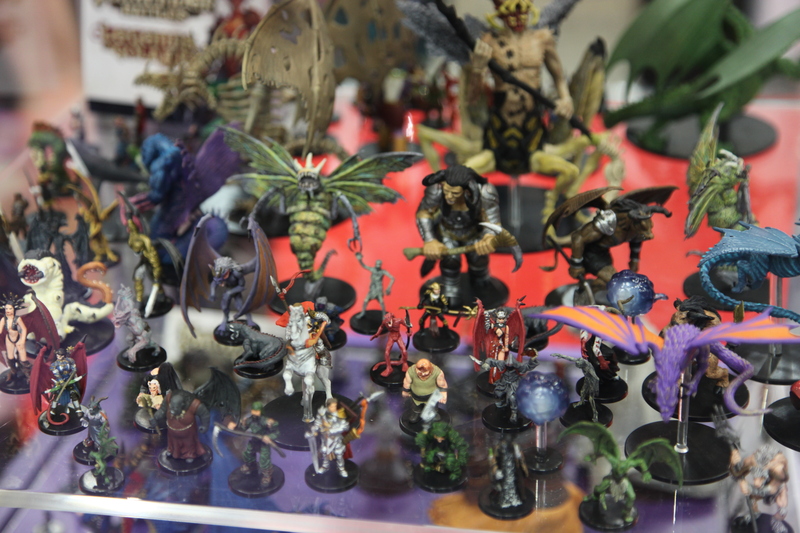 That model was increasingly about jamming as much player character content out as fast as we can." 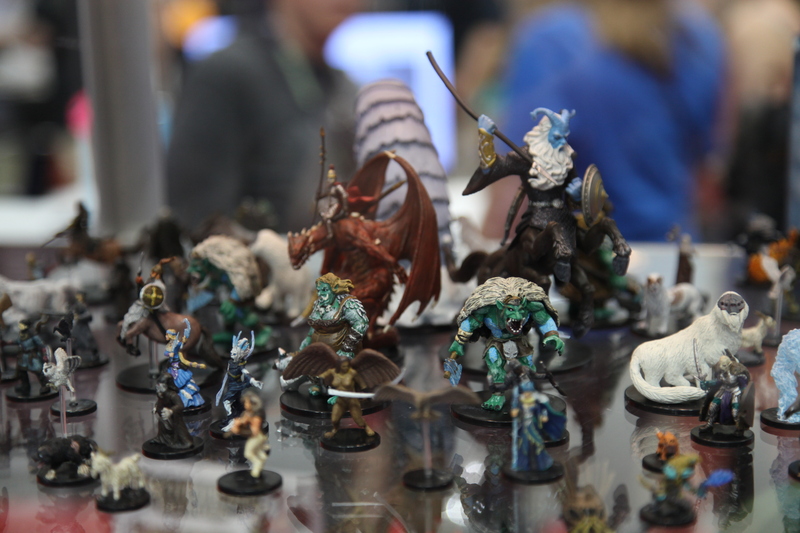 Mona described how that model evolved, with the leap from selling player content because there's more players than game masters, then the leap to selling more expensive full-color hardcover books, then the leap to putting out a book every month. "You churn through your design space very fast, and people can't keep up the pace. That's why it took us so long to make an entire book of classes." "We didn't like that option as players," said Mona. "So looking at the numbers can be dangerous. We have to look at what the players want." 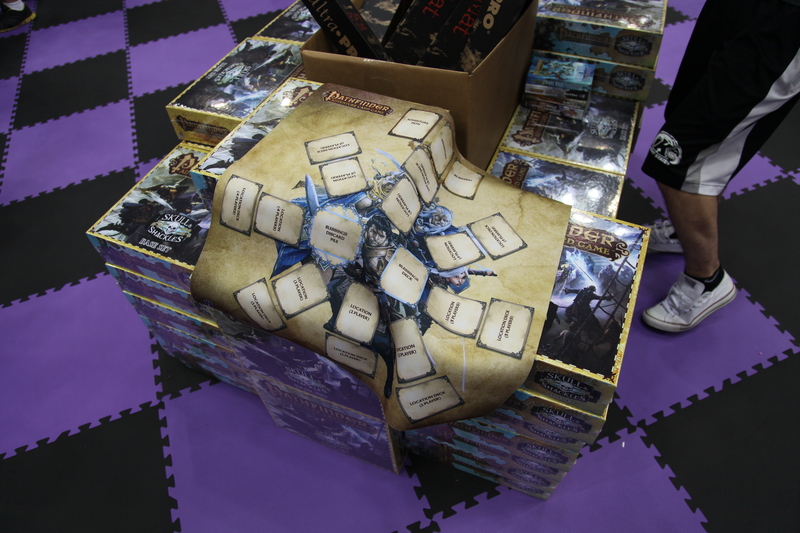 "People are always asking us when we're going to do a new edition of Pathfinder, well, we'll do that when the players want it." 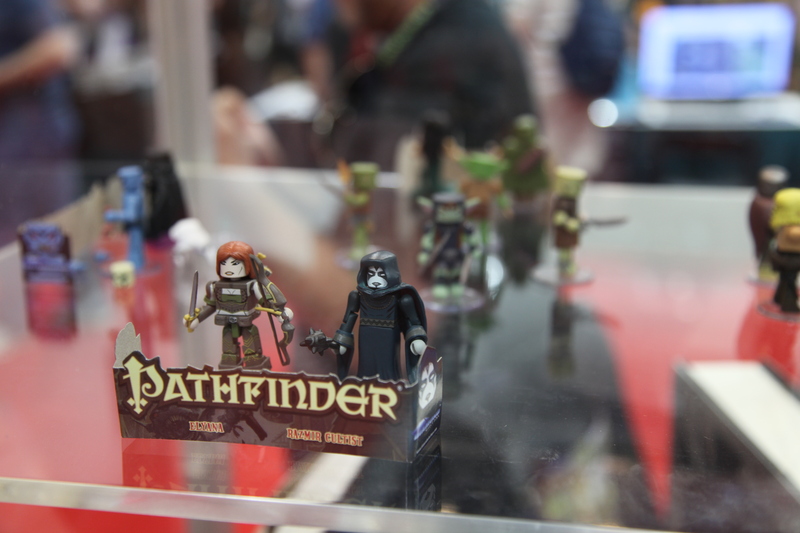 In the meantime, Paizo has supported the game by expanding the Pathfinder brand rather than game specifically. 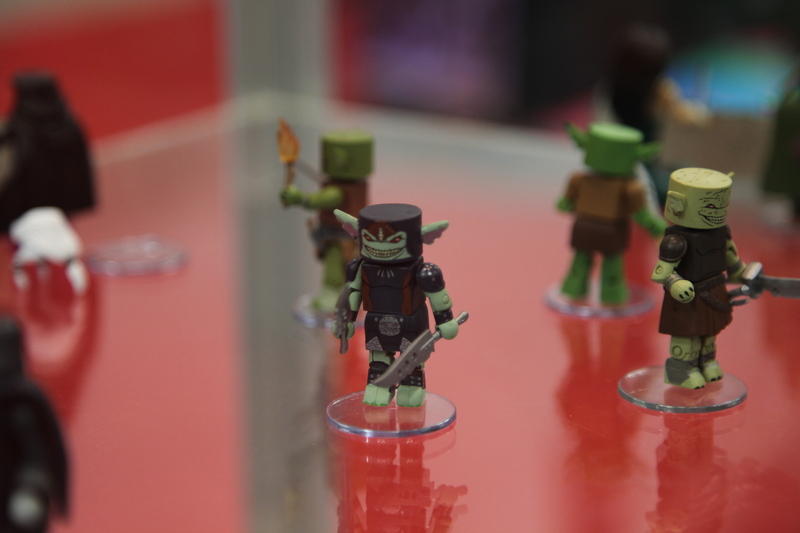 That's why they did products like the Adventure Card Game, the Pathfinder Battles miniatures, monthly adventures, and minifigures. 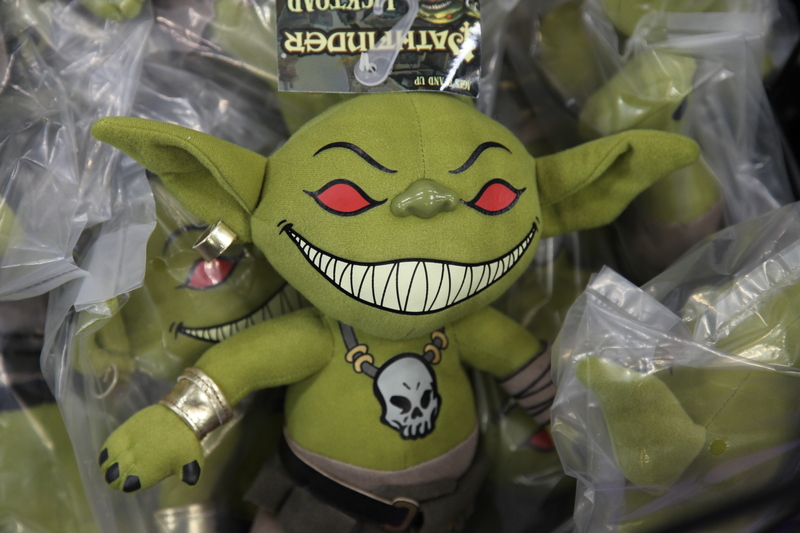 That includes their recent partnership with Obsidian Entertainment to develop digital games for Pathfinder - which happened more or less because of mutual passion for each others' games. 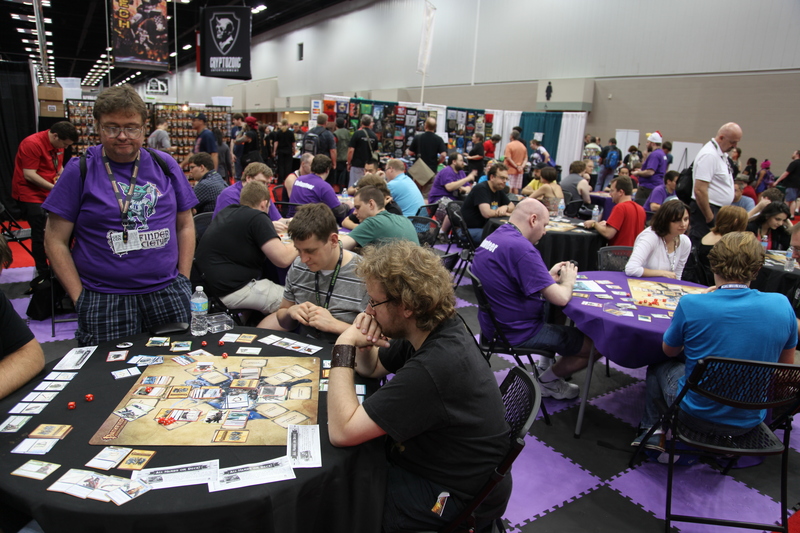 The newest version of the card game, Skull & Shackles did brisk business. 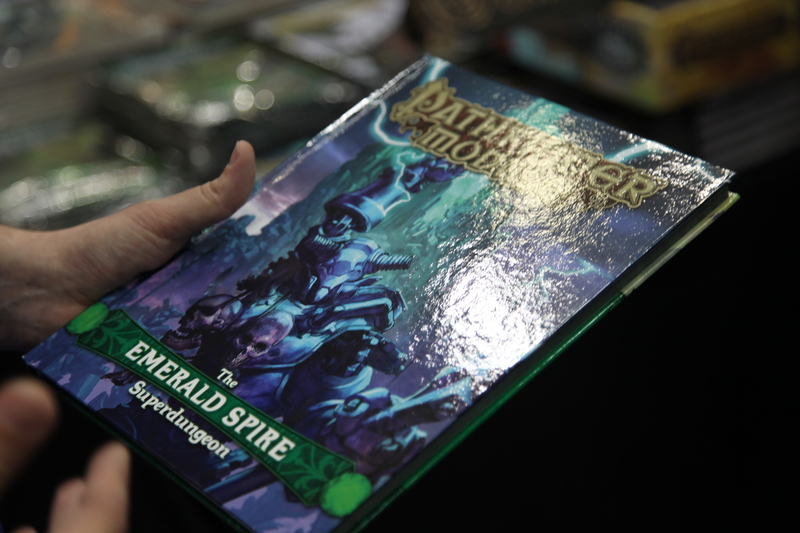 The Paizo booth itself sported the longest line of any at the show for several days, with loyalists lining up to get the latest releases and show exclusives. 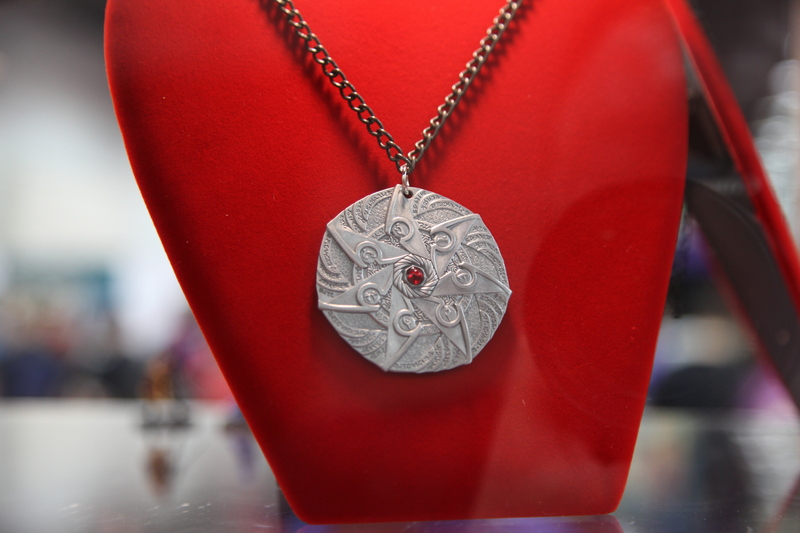 For Mona, and the Paizo veterans like him, its been a long and humbling road. 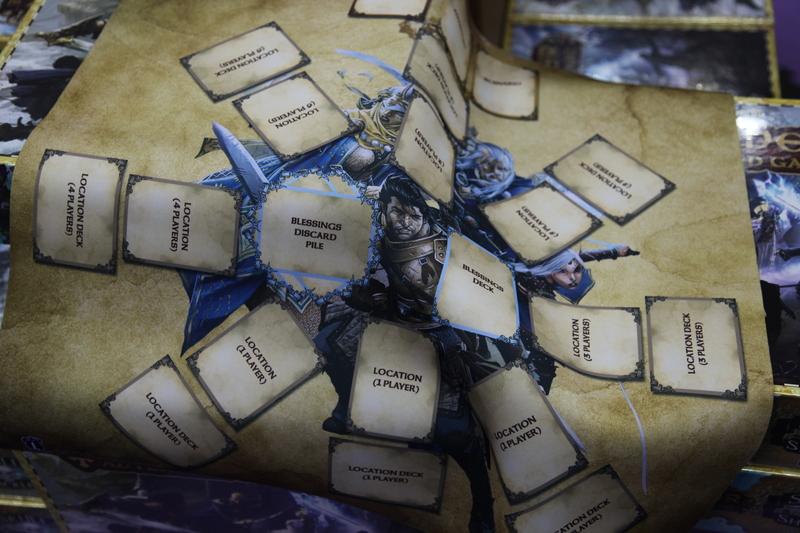 Mona neatly summed that up with an anecdote about the early days of Paizo: "I remember saying to Lisa [Stevens, CEO of Paizo] that you need to commit to publishing at least the first six volumes of Rise of the Runelords, our first product, because none of us will be able to rest until it's done. If we don't finish we'll be hounded for the rest of our lives by fans. And now we're working on Pathfinder #100." As for the future? 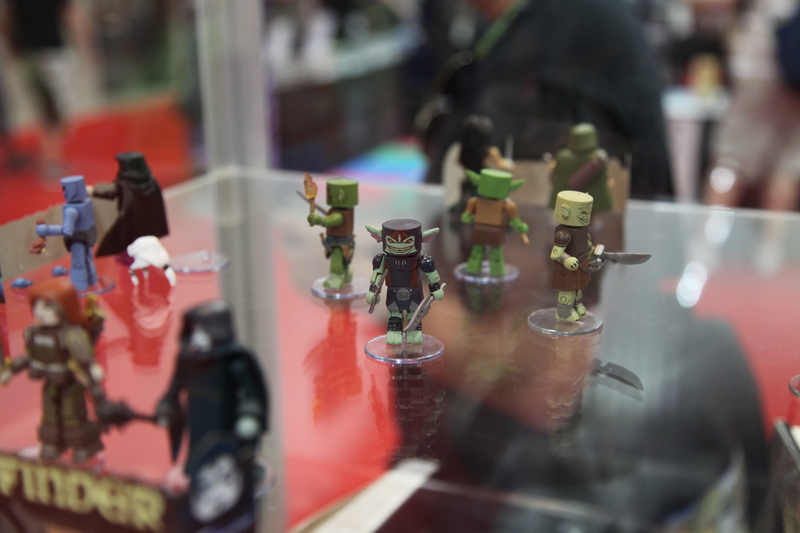 "We're going to have action figures, so that's almost everything on my dream checklist," said Mona. When I prompted him for more, he said there were only about three things still on that list they haven't done. "Like what?" I asked him. He grinned and said "Well, there's no Pathfinder movie." For now, though, they're staying focused on making the game. Like they always have.